Sincere attempts at becoming more ethically responsive to individual and community needs, both in terms of increases in personal choice of individual patients and more general concerns in providing better health care to the public, sometimes take the form of an institutional addition to the existing health care structure. Health care ethics committees (HECs) are one such addition to the structure. Health care ethics committees have enjoyed rising popularity in North American, European, Commonwealth countries, and elsewhere, as an institutional means of helping to resolve moral problems in a variety of settings, primarily in direct medical care of patients and evaluation of research proposals. What are these committees? What are their various functions, methodologies, composition, and problems? 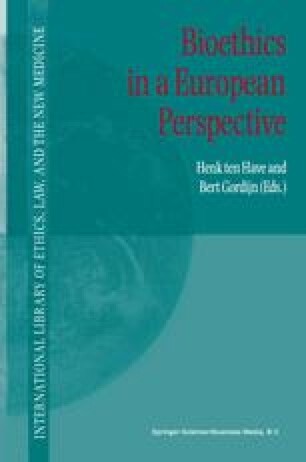 How are we to understand and evaluate the emergence of these committees within the larger historical and intellectual context of applied philosophical ethics?